This chapter addresses the reactions from communities of early supporters of companies turning from participative forms of financing to classical venture capital and/or buyouts by blue chip firms. Through the study of two recent cases of major crowdfunding successes, namely Oculus VR, a Californian company which obtained nearly $2.5 Million in an exemplary Kickstarter campaign and was later bought by Facebook for $2 Billion, and Mojang, a Swedish company formed to manage the unprecedented success of a video game, Minecraft, sold to supporters from its unfinished versions, the firm being later purchased by Microsoft for $2.5 Billion. Both of these companies had to manage the changes in the nature of their relationships with their early supporters. This chapter proposes typologies of potentially harmful changes induced by attempts to transform bonding social capital into bridging social capital, as well as countermeasures available to entrepreneur to control the effects of such situations. Crowdfunding operations (i.e. usually the raising of capital in small amounts from a large group of people) are started from entrepreneurs aiming at achieving the financing of their ventures outside of the more traditional banking institutions, venture capital, or business angel channels for a variety of reasons. The main ground for this choice can lie in the nature of the venture itself, as start-ups and/or young entrepreneurs may face difficulties in demonstrating the venture’s potential to institutions that are unlikely to finance the venture in any case. The entrepreneur may sometimes simply not want to engage in the quest for such traditional capital precisely because of a fear, related for example to the plausible or imagined waste of time and energy, induced by such barriers. 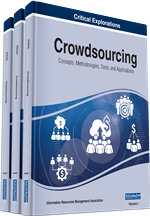 More positive rationales to engage in the increasing crowdfunding phenomenon are also to be considered as there are times when achieving the initial funding of the project is also seen as an occasion to gain visibility, early adopter support, and even sometimes direct customer input in a form known as ‘crowdsourcing’ (Gerber & Hui, 2013). Regardless of the initial reasons why entrepreneurs select this financing method, crowdfunding is by and large seen as a one-off operation, starting with the preparation of the communication and fund collection campaign and stopping with either its success or failure. As such, crowdfunding success is often seen as related to the achievement of initial funding goals, or even better to their exceeding. The consequences of this achievement, when manifest enough, can take multiple forms depending on the type of crowdfunding mode selected by the entrepreneur. They can, for example, simply result in larger than anticipated initial sales figures, a more ambitious product development, or even immediate spin-off products. In some cases, once the original campaign has proven a success, subsequent crowdfunding operations can be launched to take advantage of the initial momentum (Kickstarter, 2012b). On a platform such as Kickstarter, videogames and consumer electronics constitute the majority of the most funded projects (14 out of the 20 most funded Kickstarter campaigns of the last two years belong to one of these two categories) (Kickstarter, 2014b). In almost every case, the expected return of funds provided by backers (people supporting the project by financing it) is taking the form of the product itself, from about twenty dollars in the case of the lower priced games to several thousand dollars for the most expensive items (3D printers, for example). These products are often accompanied by additional rewards such as the mention of the initial backers’ names on the product documentation or website and, classically, t-shirts and other goodies. In these two areas (video gaming and consumer electronics) related to various modes of participative financing, recent success stories featuring sales far exceeding the original forecasts (and, consequently, the initial financing goals) have nonetheless hinted at a longer-term vision of success. Dynamics of legitimacy and stakeholder involvement necessary for, and at the same time generated by, the support momentum of the projects are still at play subsequent to major funding accomplishments. Successful crowdfunded operations and companies seeking more traditionally additional capital, and obtaining it thanks to this initial success, see themselves at risk of alienating early backers and, more generally, large parts of their prospective customer base. In short, they may find themselves trapped in social media turmoil, consequently depleting a potentially significant part of the social capital (connections between individuals and entities that can be economically valuable) that was summoned during the crowdfunding campaign. Within this perspective, a major question arises as to the governance of relations between contributors and project initiators, which fundamentally differ from the conventional financial and banking sectors that might often be reduced to pure pecuniary profit-based investment relations.